"After I made the comeback and then I retired from the sport, it really wasn’t until I told the truth that I felt better." This interview is a continuation from yesterday’s Q&A with Tyler Hamilton. VeloNews: How much of your current isolated living situation in Montana is rooted in your doping admittance? You have mentioned publicly your battle with depression. Do you feel like you’re personally working through the psychological/emotional fallout from your admittance? Tyler Hamilton: I feel pretty lucky, I have amazing family and friends. I can see, had I not had such a great support network, going down the wrong road and being a mess. It wasn’t perfect, there were ugly times for me. I struggled for a while. Coming to terms with the truth was huge for me, stepping away from the sport and moving to Montana. Honestly, I feel like I’ve been out on a retreat for six years, living here in Montana. Looking back now, I feel a lot of my depression was situational depression. Clinical depression is what you’re more or less born with. During the height of my career is when I was diagnosed but obviously it got worse at times. I never addressed it publicly, I hid it so nobody knew. I was out on my own island for a long time. After I made the comeback and then I retired from the sport, it really wasn’t until I told the truth that I felt better. For the last four years, I’ve been doing yoga consistently every week and that’s helped a lot — mind, body, and soul. I’ll need to get my teaching license, I love it. I recommend it for anybody, for whatever, athletics, for your mind, it helps you get through a lot of stuff. It’s non-competitive, which is awesome for me because my whole life I’ve been competitive. Honestly, when you really break it down, and you think how did things go wrong? Competition. All top athletes, most professional athletes have that extra little something — that competitive spirit, which is great most of the time. Obviously you can look at my career path and at one point that competitive desire to succeed was too much. I could deal with a lot of pain also, I call it a blessing and a curse — pushing pain aside. There are times you can push yourself too hard, and then sometimes mentally too. You’re so tough on yourself and you’ve got to learn to back up and take a couple steps back and give yourself a pat on the back sometimes. I know from my own experience from teammates and competitors, that we’re all (at least professional cyclists), we’re super tough on ourselves. It’s hard on the bike, it’s hard off the bike; it’s a tough job. I have nothing but respect for all the guys I raced against. It’s back to what you’re saying how everyone is moving on and doing new things, Lance is finding some success, and Christian, and George, all these guys, I’m rooting for all of them. Every retired cyclist who takes that on, or retired athlete, you have to move forward, it’s hard transitioning from a professional sports person to the real world. 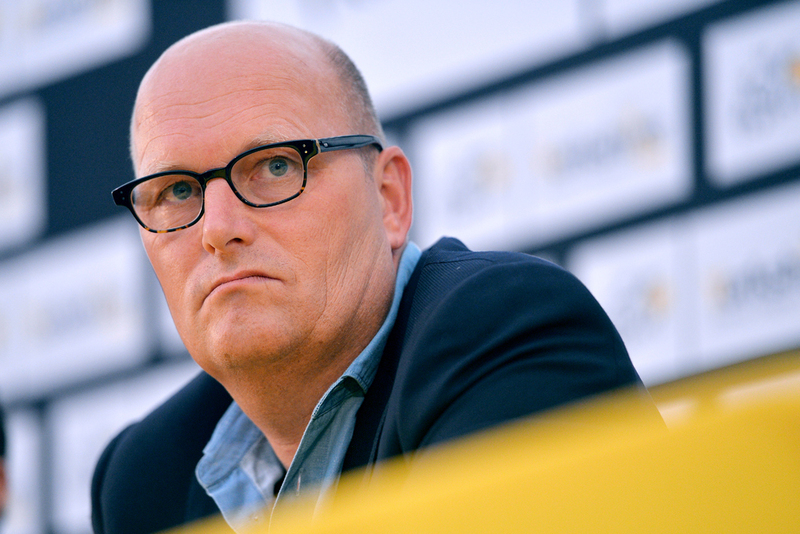 VN: Jan Ullrich was Lance’s rival in many ways and one of your top competitors during your career. 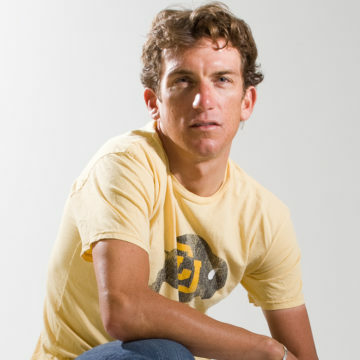 A lot of the cycling community has been rallying around him since his recent troubles, wishing him well. Have you had a chance to speak with him? TH: Again, I feel pretty lucky. I’m super appreciative to my family and friends being there for me and being in Montana. I could see how you could be taken down the wrong road quickly and it’s a snowball effect and before you know it, you’re in trouble. Jan Ullrich is an amazing person. He has a huge heart so I’m pulling for him. Once things settle down, I’ll definitely reach out to him. One of the coolest moments I had in all of sport was after I won the gold medal at the Athens Olympics. I was in the Team USA tent and Ullrich walked over. He had a poor showing for him that year, he should have at least won a medal, if not won the whole thing. He was fifth that day, and had every reason in the world to be unhappy, but he took the time to walk all the way over from his Team Germany tent to where we were. He shook my hand and gave me a hug; that was really cool, I’ll never forget that. I always thought to myself, while I was trying to help Lance win the Tour, Ullrich was always second. I thought, you know, ‘if Lance doesn’t win, at least Jan will win because he’s a good guy.’ He’s been thrown some tough cards. There has been a lot of pressure on him, so I have nothing but support to give him. He’s a strong guy, he’s going to come out of this. I think he’ll do great. VN: Now that you were back at a pro cycling race, where does Tyler Hamilton fit in? Where do you see yourself in the future? 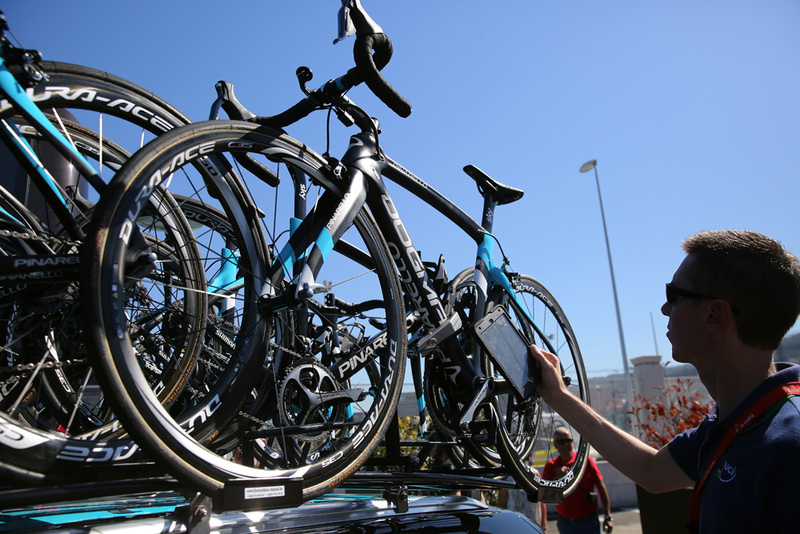 How do you see professional cycling? TH: I have a small coaching business that I do with Jim [Capra], custom-based programs is one way how I stay involved in cycling. I also like to ride myself, as soon as we finish this interview I’m heading out on a gravel grinder I got. I’m getting into bike touring, I’ve really been enjoying that. It’s completely different than bike racing. It’s long, slow days but a ton of fun. All the guys that are racing today, I look at them and they’re working their tails off. You can just tell, they’re super, super skinny. I work with some of the athletes now, I think the secret is out! Weight is so critical and a couple of pounds can make the difference. I watched that circuit race on Thursday in Vail. That dirt climb was super cool, and I loved that kid winning by attacking! What a stud — the fact that he’s not even 21! They tried to give him a big thing of beer on the podium and they couldn’t because he’s only 20. I thought that was great! The kid that won overall, Gavin Mannion, he’s from Massachusetts. I don’t know him but he rode in the same cycling club that I rode on, CCB, we’re proud of our New Englanders. Hearing the teams that are folding is unfortunate, it definitely seems like it’s a tough year to be out of a contract. But cycling has gone through so many ups and downs through the years, it’s not going anywhere. Maybe bike racing on the road is going down but then you have all these other events like gravel and gran fondos are just exploding, they’re everywhere. I don’t think road racing will ever go away. It’s bounced around a little bit. I think it would be cool to see more races on these dirt roads with all these new bikes they have for it. Why can’t a roadie do that? It’s tricky. I don’t have the answer, but I know some people will point the finger at my generation. I know they already do, but at least on the Stateside, cycling really took off then. For all of us who were caught up in it, it’s been super difficult, I’m rooting for every one of us. It takes too much energy to dislike people or hate people. I don’t hate anybody anymore. There was a lot of hate. More importantly for myself rather than them. I can only really do my part. I wouldn’t say I’m some anti-doping crusader but I’m just going to share the truth when asked and when people are interested to hear what I have to say, I’ll talk about it. I also have to move on and do other things too. I need to enjoy the bike again, get out for myself. Note: VeloNews contributor Rebecca Reza worked as a social media advisor to Tyler Hamilton’s coaching business in 2017. Reza and VeloNews editor Fred Dreier compiled the list of questions prior to this interview with Hamilton.